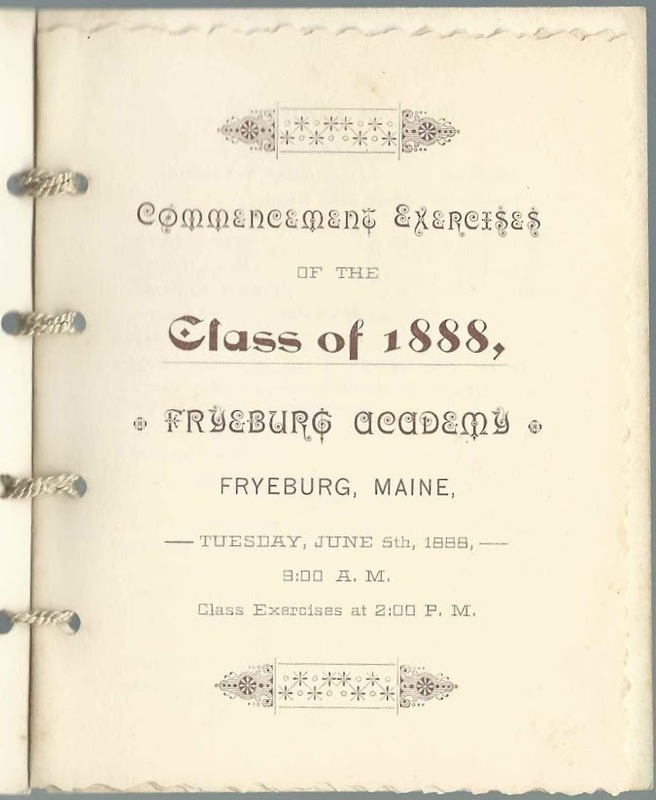 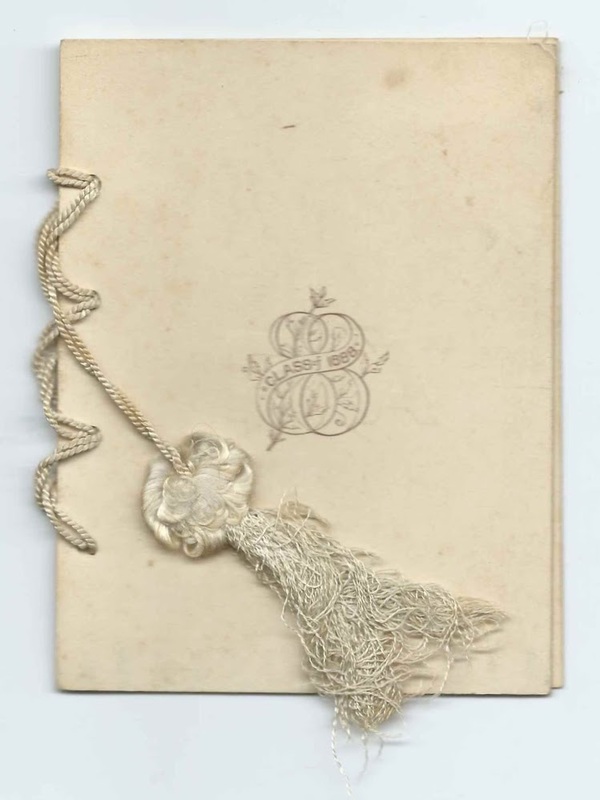 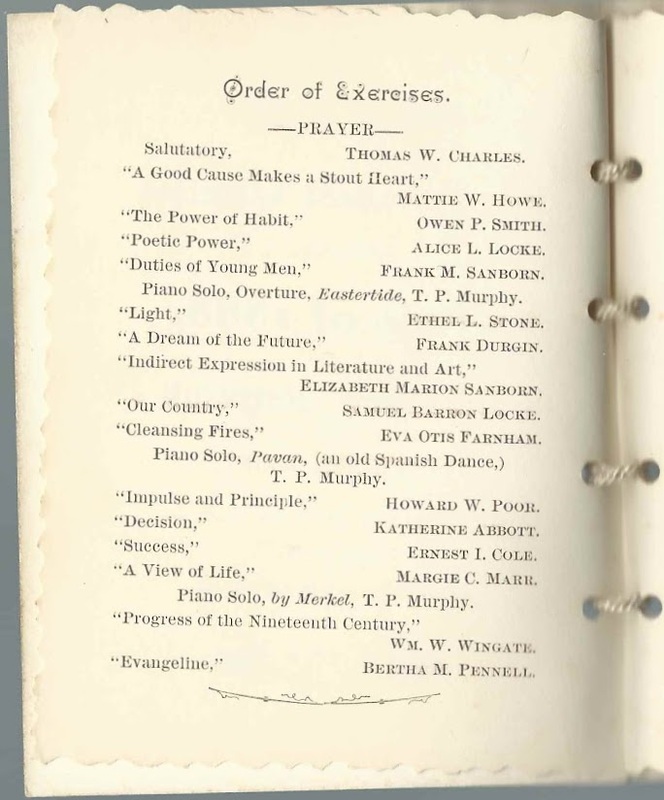 Commencement program for the Class of 1888 at Fryeburg Academy at Fryeburg, Maine. 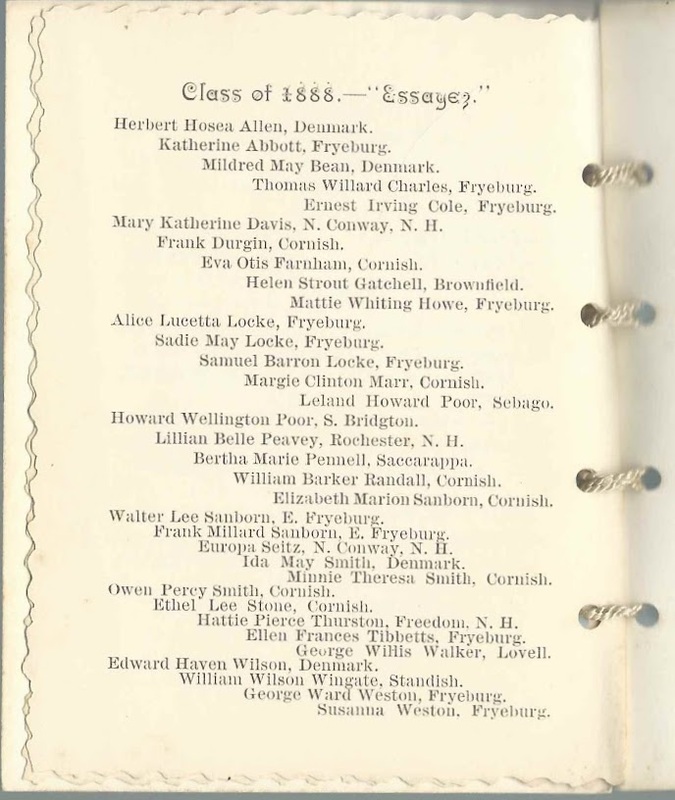 Students hailed from Fryeburg, from other towns around Maine and from New Hampshire. 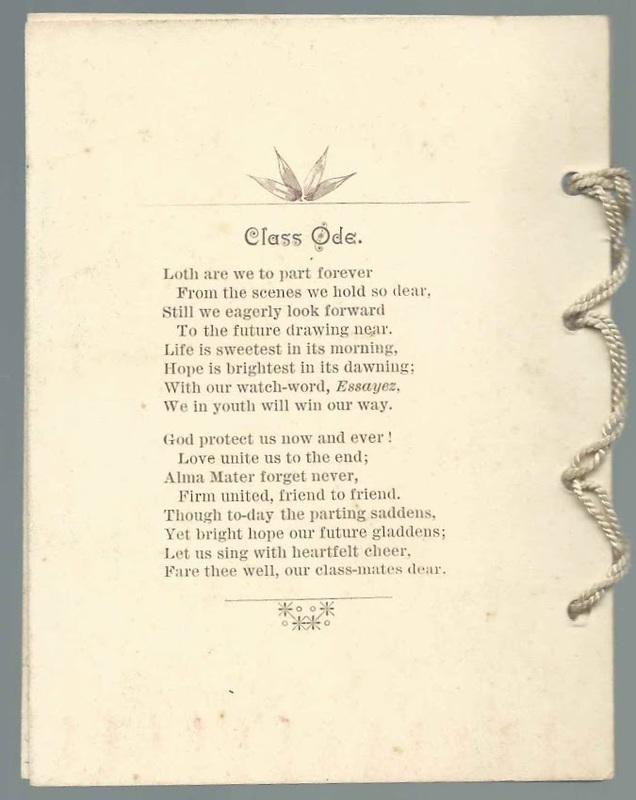 Fryeburg Academy, established formally in 1792, is not only one of the first educational institutions in Maine but also one of the first in the nation to accept women students. 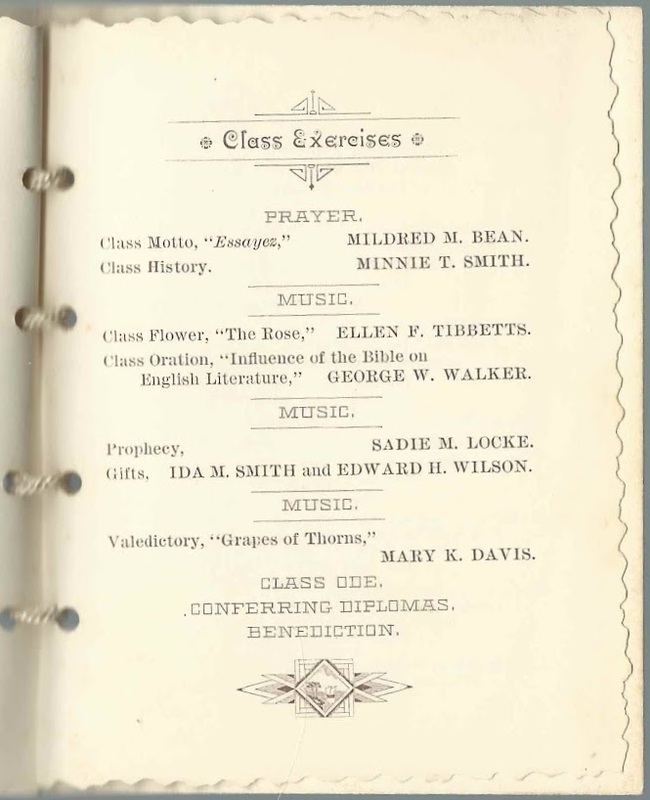 The program was held at the Academy on Tuesday, June 5, 1888 at 9:00 A. M., with class exercises at 2:00 P.M.
Class of 1888 - "Essayez"